Neil Desmier, Founder of Cooleasy , is one of the Britain’s leading renewable energy suppliers. Cooleasy is one of the UK’s top trade air conditioning suppliers and caters to all the domestic & commercial heating and cooling requirements. 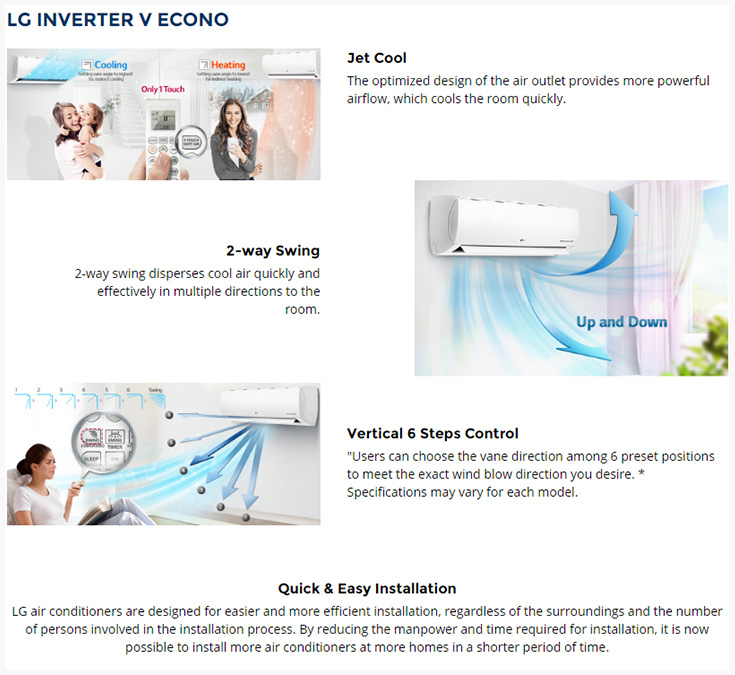 They keep a high stock of climate control products like air conditioners, DIY air conditioning, conservatory cooling and custom products like component parts, remote control. Neil built his store on Magento and started selling portable air conditioning systems that come with a automatic drainage system, making it easier for space-refrained clients to use the portable systems with ease. Ineffective Order Processing System – Saving time on processing orders. One of the most time-consuming issues Neil was facing was with his earlier order processing system required an immense amount of paperwork, right from receiving the orders to delivery, the process required a set of manual processes. Customizing Templates – For invoice, purchase orders, sales orders & shipment Process. Neil was in a need of a hassle free billing system. The company maintains a standardized format of generating invoices, sales orders, POs and shipping labels. He was handling the invoices and sales orders under the name of Cooleasy (Magento Store), while PO was generated under the name of iXus (their Warehouse). Given that the billing system was handled under two different brand names, Neil required a feature where he could easily create custom templates. Neil wanted a quick way to send invoices, POs, sales orders & shipments across all departments of fulfillment with a consistent look and feel. Neil was managing a warehouse (a distribution center). With increased volume, he realized he needed a system which can automatically track and manage incoming and outgoing stock. The entire movement of inventory within a warehouse i.e. from packing to shipping was required to be streamlined. His current workflow of managing stock within the warehouse and the fulfillment process was cumbersome and laborious. Now, orders get automatically synced from the store to Orderhive and can be easily confirmed, shipped and managed from a single back-end. Neil felt relaxed after adopting Orderhive, as he is not anymore worried about manually counting orders and tracking the fulfillment process. 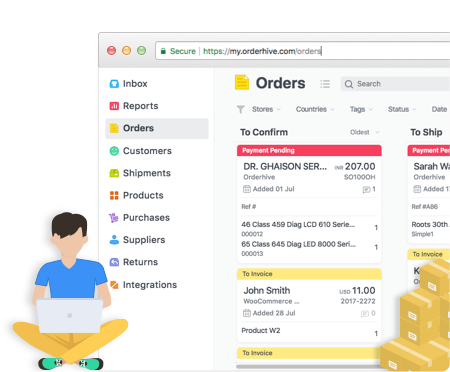 Orderhive provides Neil the flexibility he needs in terms of having his own standardized format of invoice, POs, sales orders, and shipping label templates. Orderhive provided a feature to Neil where he can add custom fields in templates and easily send it across the department. Due to the availability of template customization, he can create the invoice & shipment in the name of Cooleasy (Magento Store), while can create a PO in the name of iXus (Warehouse). Orderhive automated Neil’s online business and provide a centralized system to manage order, inventory & warehouse from a single dashboard. Neil witnessed a significant cut down on time spent laboring over order management & inventory control. Orderhive enhanced Neil’s capability to manage orders, manage inventory across his online channels & warehouse and gave him the tools he needs to generate and print shipping labels with ease. The Team at Cooleasy is extremely delighted to have Orderhive’s awesome customer support and sees that as a major benefit of using the software, in addition to finding new and effective ways to enhance their back-end processes. It would not be fair also not to mention one member of staff in particular, “Chinkit”. He is spontaneous with his response and immediately works on any issue or queries raised by me even during odd hours. This is the best customer support experience I have till now. Curious to see what Cooleasy offers? Take a look at their online store.